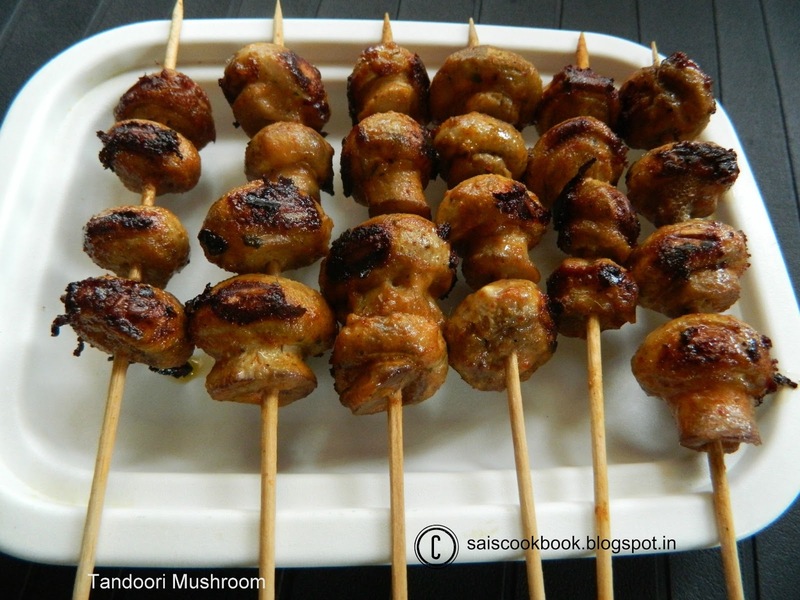 I first tasted tandoori mushrooms at a restaurant few years back.Most of our family members love mushrooms at our place.Tandoori mushroom is my son s favourite so had prepared it on his demand.For the seafood lovers the same recipe can be prepared with Prawns and that s what I did it for my sake.I borrowed this recipe from Santoshi.She often prepares it with Prawns for her family and never forgets to parcel me the dish.Tandoori food has always been my favourite.What about yours? Wash the mushrooms thoroughly and marinate it all the ingredients written under the ingredients for an hour or more. 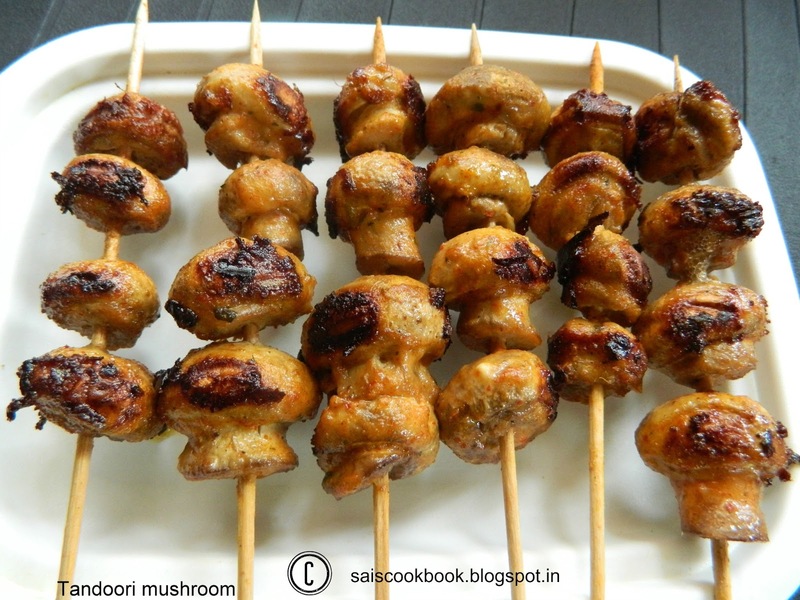 Pass the mushrooms onto the bamboo skewers and heat the tawa. Add ghee and fry the mushrooms on both the sides turning it occasionally until it is cooked and the colour turns brown in colour.